Are leather or fabric seats easier to care for? Caring for leather seats is not particularly difficult, however, it does take regular attention to ensure that the life of the leather is preserved for years to come. When leather is conditioned regularly the surface remains supple and strong, ensuring that the surface stays intact and lasts in line with the life of the car. When you have leather seats it is important to avoid parking in direct sunlight where the leather can discolour and dry out. If leather is left to its own devices it will eventually begin to discolour and crack as it loses moisture. Dry leather also wears more readily with friction from entering and leaving the car. Leather conditioning treatments should be completed at least twice per year, or as frequently as once a month. It is something that you can do at home, though it’s best left to the experts who will ensure that they use high-quality products and technique to extend the life of your leather seats. A leather treatment at Magic Hand Carwash starts with removing dirt that has built up over time, which can cause discolouration. Then using a special conditioner, which leaves no residue, the leather is moisturised instantly improving its appearance and protecting it from drying, cracking and staining. 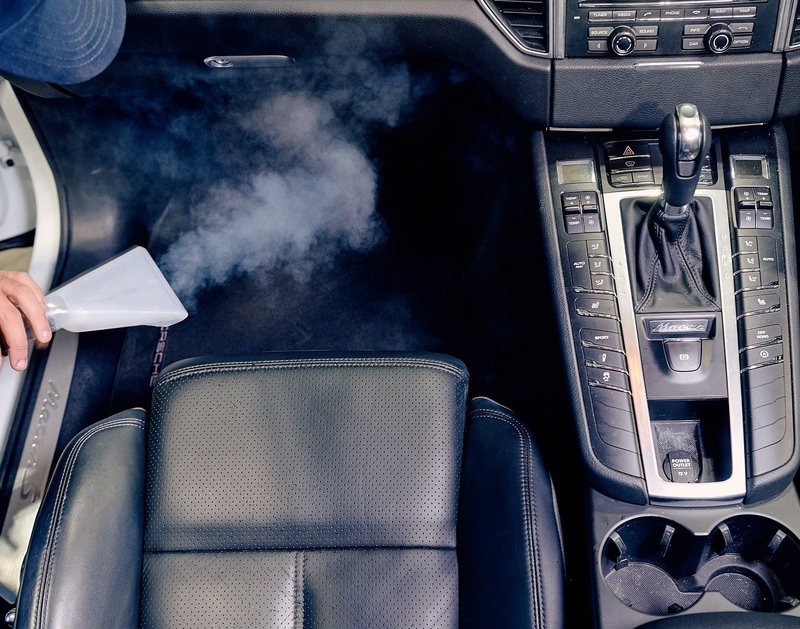 The conditioner decreases how porous the leather is, meaning if you do have a spill in the car, often the leather can be wiped over with a damp cloth without any evidence being left behind. Fabric can be a little more difficult to look after than leather, however, there are steps you can take to ensure your fabric seats stay in tip-top condition. The best option is to have a hydrophobic interior protection treatment applied to your fabric seats which will protect it from spills and dirt. This type of treatment will repel liquid, making it bead and increasing your chances of mopping up a spill without any permanent damage. It’s also important to keep fabric seats out of direct sunlight as the harsh UV rays of the sun can cause discolouration and bleaching. If you’ve skipped the interior protection and your fabric seats have been in use for a while, steam cleaning is a great way to bring fabric seats back to their former glory. Steam cleaning will help to remove ground-in dirt that won’t lift out with vacuuming alone. At Magic Hand Carwash the team will use a custom carpet shampoo and a range of purpose-built tools to massage the fabric before starting the extraction.